What Are a Dolphin's Biomes & Climate? Dolphins live in diverse climates and in both marine and freshwater biomes. Biomes are ecological communities divided into six main types: marine, freshwater, desert, forest, grassland and tundra. Each type of dolphin lives in the climate and biome for which it has physically adapted. Although some dolphins thrive in tropical oceans, others live in colder waters. Some species are even found in rivers. Several types of dolphins live in freshwater rivers. The Ganges and Indus River dolphins are found in India. The baiji lives in the Yangtze River of China, although this species has not been spotted in the last few years and might now be extinct. Pink dolphins range throughout the Amazon River and its tributaries in South America. The La Plata dolphin, also known as the Franciscana dolphin, lives in the La Plata River in Brazil and Argentina, but it also has been seen in the Doce River, the Peninsula Valdes and the coastal waters of Uruguay. Unlike other river dolphins, the La Plata Dolphin lives in both saltwater and freshwater. The best-known dolphin, the bottlenose, can be found in warm and temperate climates around the world. It tends to live in coastal areas and to stay near the surface, where it finds fish and squid to eat. Throughout their life cycles, bottlenose dolphins migrate to breed, give birth and raise their calves. Orcas, known as killer whales, are the largest dolphins. Predominantly living in colder climates, orcas may be found in both the arctic and the Antarctic. Orcas have also been seen in tropical climates near Hawaii, Australia and the Gulf of Mexico. Orcas generally live in coastal areas, but they also swim into the open ocean. Occasionally, orcas have been found in rivers, and they can adapt to freshwater biomes. A few other types of dolphins in marine biomes: The white-beaked dolphin is found in the arctic Atlantic in coastal and shelf waters. 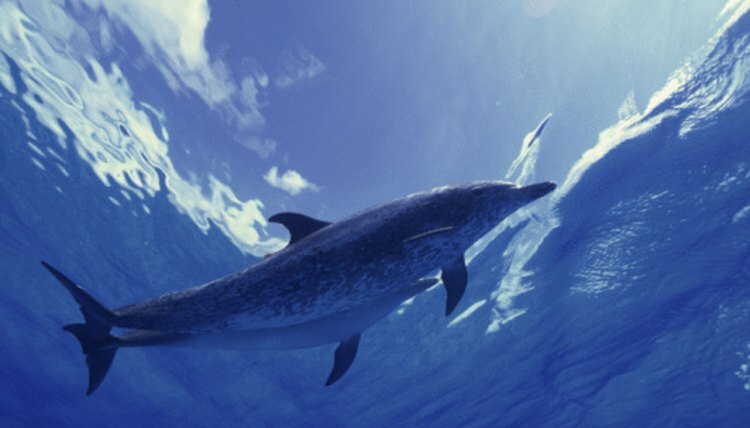 The common dolphin lives in tropical climates. Long-beaked common dolphins live in coastal waters, and short-beaked common dolphins stay offshore. The dusky dolphin lives only in the Southern Hemisphere and prefers cooler waters near the continental shelf. Dusky dolphins often migrate between inshore and offshore waters. Dolphins-World: What Climate do Dolphins like to Live in?